Different Bench Vice Uses: How to Use a Vice to Its Full Potential? A bandsaw is a woodworking tool that is used to effect cuts. As a tool, it is known for its relatively great design and features that make it easy to use. It is also known for high performance in delivering excellent results in diverse areas making it a tool every woodworker should possess. However, beyond possessing a bandsaw, is having knowledge about bandsaw maintenance. In this discussion, we shall be examining the need for a band saw maintenance in enhancing your work rate as a woodworker. We shall also be providing basic bandsaw maintenance tips to help you understand how to keep a bandsaw in the best working condition. Why Should You Perform Bandsaw Maintenance? Band saw though a cutting tool just like many other saws differs in a number of ways. A band saw is a more versatile tool than many others that can be used for several purposes by the woodworker. Considering this among many other reasons, you need to regularly maintain the band saw to keep it working effectively. Imagine as a woodworker you have a band saw that is regularly maintained and what good you will be doing to yourself. You will be able to have better cutting results; work faster and better, and most importantly save yourself some cost. For clarity on the need to perform bandsaw maintenance, let us quickly outline some reasons why. Remember that unlike many other cutting tools available to a woodworker, the bandsaw is a very versatile one. So you can use it for several cutting purposes and still have it produce the same excellent result. The versatility of the bandsaw is one of, if not the most important reason why you should maintain it. Every versatile woodworking tool requires intensive care to keep it working effectively considering how often it is being used. Each of these features has different maintenance requirements. Make sure to find how to maintain each of these features and keep your bandsaw working at an impressive rate. The bandsaw is also made of a very high-quality blade which is different from what is obtainable with other saws. This blade quality is what makes it a high performing tool. With the quality of blade the bandsaw possesses, comes the need for serious attention when maintaining it. Regular maintenance is needed to keep the blade sharp always so as to ensure it is delivering effectively as it did the first day it was purchased. Poor maintenance can cause the blade to go blunt and result in poor cuts while making you become dependent on the safety procedures. Having a quality band saw and making its best use are two different things which can be bridged up to great extent with proper maintenance. Generally, band saws are known to come with smaller kerfs than most other saws and woodworking tools. With this small kerf of the bandsaw and its narrow blades, you are able to reduce waste while working with the bandsaw. In order to ensure that your bandsaw is working effectively and not having you go for other saws with wider blades, you need to maintain it regularly. 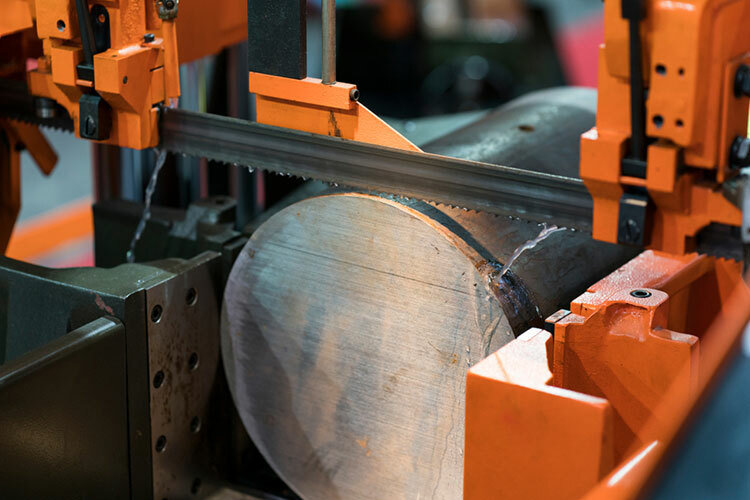 With the need and the many advantages of bandsaw maintenance already provided above, let us go on to see how we can regularly maintain band saws. Band saw maintenance process is simple, but attention should be paid to it so as to ensure it is done effectively. How to Clean and Care? In getting rid of debris from the bandsaw, make sure that you have its knob secured and ensure it is not plugged to any power source. The air compressor should not be left out; you should blow off the dust from its surface. You can make use of the blower that comes with it to do this, or any other means to take dust away from the surface. Dust and carbon dust, which is pretty harmful is likely to be found in areas of the bandsaw. To remove this, you have to do it carefully so as not to come in contact with the blade, remember it is really sharp. So all you need to do is to get a piece of steel wool, dip into a liquid rust remover and rub it through the surface of the bandsaw table. To remove dirt and carbon dust, get a clean cloth free from any solvent whatsoever and wipe the surface of the table. Making use of wax on the bandsaw is a good way to maintain it. To do this, get a coat of wax, preferably car wax. Dip a clean cloth into the wax and apply it to the table gradually. When you are done waxing the table, you can go on to separate the blade. In separating the blade, make sure to be careful and adhere to all the safety precautions provided in the bandsaw manual. When blades have been separated, get a liquid rust remover and a wire brush to clean the blade from every dust and rust. The final step here requires that you do the cleaning. With the blade already separated, this becomes very easy to do. For effective cleaning, it is advised to make use of a wire brush. Clean the wheels and the pitch and other areas of the saw and ensure all specks of dirt are taken away. When you are done cleaning these parts, you can make use of a resin remover spray for better results and leave it for a while before replacing the blade back to its place. The second mode of maintenance in this bandsaw maintenance guide is preventive maintenance. This is necessary for a number of reasons which includes: increase blade life, decrease in the need for unnecessary maintenance and improved quality cuts. With this, let us quickly look at the procedure needed to be followed by every bandsaw operator who looks to effect preventive maintenance. Constantly see to inspecting band wheels every time the blade is changed, and band wheel bearings after every six months. When installing the band guides in your workshop, make sure to adhere to the installation manual guide that came with the band saw. A timely check of these guides is also very important. Blade tension check should be done daily in line with recommendations provided by the manufacturer. Inspect all bearings and drives after every six months of use. Inspect the transmission oil level and drive whelk regularly. Make sure pulleys are properly aligned always, and when damage is spotted, replace it immediately. Check to ensure belts don’t have any wear or cracks, if any spotted, replace it immediately. Check the guide alignment always and ensure vise and blade are aligned to themselves. Check band speed on a weekly basis and chip removal system on a daily basis. Always keep track of the saw fluids and be sure they are in line with the specifications provided by the manufacturer. Regular bandsaw maintenance is what you need to ensure you keep producing more efficient and quality cuts with your bandsaw. It will also help you to increase your overall work productivity as you will have to spend less on unnecessary and unplanned repairs. You should not just be interested in purchasing a bandsaw because of its versatility, you should also be intentional about maintaining it regularly by following the basic bandsaw maintenance tips provided in this discussion. 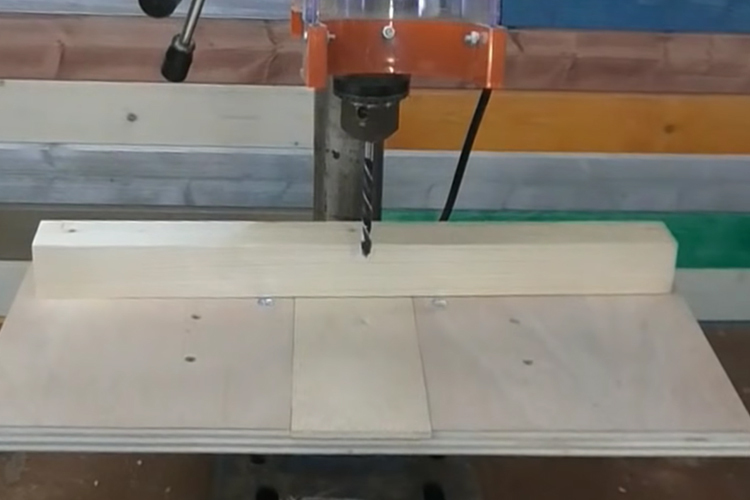 2 How to Use a Reciprocating Saw like a Metal and Woodworker? 3 Why and How Are Drill Presses Measured Before Using for a Job? 7 How to Use a Tig Welder for Advanced Metalworking Projects? 9 How Does a Drywall Screw Gun Work?